There are unlikely links between Beaconsfield, a global industry and one of the world’s most famous explorers. “It is a truth universally acknowledged, that a single man in possession of a good fortune, must be in want of a wife.” These opening words of Pride and Prejudice (1813) were written by Jane Austen some 75 years before it became normal practice for a single man to demonstrate his wealth to his future wife by the size of the sparkling diamond on her engagement finger. Diamonds had been popular since the 15th century amongst European aristocracy but it was the sentimental Victorians who began the trend of designing ornate engagement rings with diamonds mixed with other gemstones. They were able to achieve this following the discovery of diamonds at Dutoitspan in South Africa and their exploitation by Cecil Rhodes. In those days each miner was assigned one or two claims based on about 35sq ft of land which they rapidly developed into deep pits of 100 feet or more. These pits could become both water filled and dangerous as well as being very valuable for the diamonds that lay beneath. Eventually these pits were aggregated by The DeBeers Group and the Big Hole (pictured) at Kimberley has become the deepest and largest man-made hole on earth. And what has this to do with Beaconsfield? 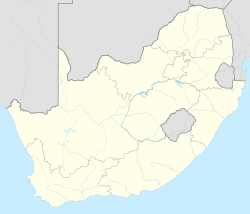 Simply that Dutoitspan renamed itself Beaconsfield after the death of Benjamin Disraeli and in turn merged with Kimberley in 1913. As a major suburb it receives its fair share of visitors and from time to time we welcome their residents to our lovely town.